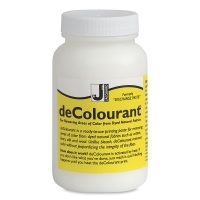 Jacquard deColourant is a ready-to-use, non-bleach color remover. Use it to remove areas of color from dyed natural fabrics, including cotton, linen, silk, and wool. 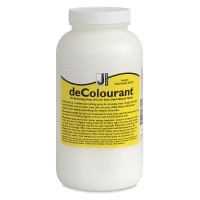 Unlike bleach, deColourant removes color without weakening or deteriorating the fabric. 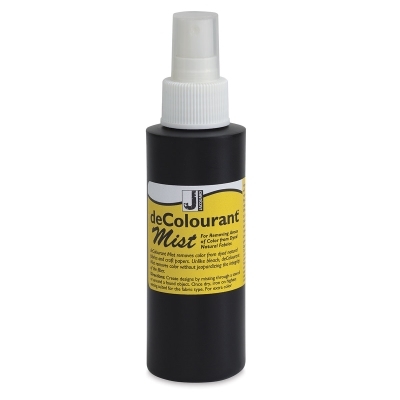 It also works well on many craft papers (but won't work on pigmented paper or painted surfaces). deColourant cleans up easily with water and doesn't activate until heated, so if you get some on an area of the fabric that you didn't want, simply wash it out. Nothing happens until you heat your deColourant print. 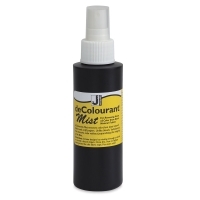 Jacquard deColourant is available as a Paste or Mist. This product was formerly called "Discharge Paste." deColourant Paste — The paste formula is thickened for printing, painting, stamping, and drawing. Apply it with a brush, stamp, sponge, applicator, stencil, or screen print. 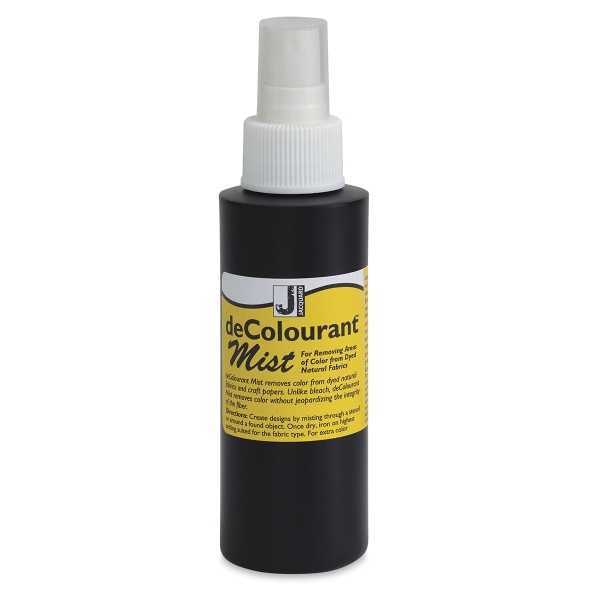 deColourant Mist — This sprayable formula of deColourant comes in a pump-action mister bottle. Create designs by misting through a stencil or around a found object. ® Jacquard is a registered trademark.™ deColourant is a trademark.